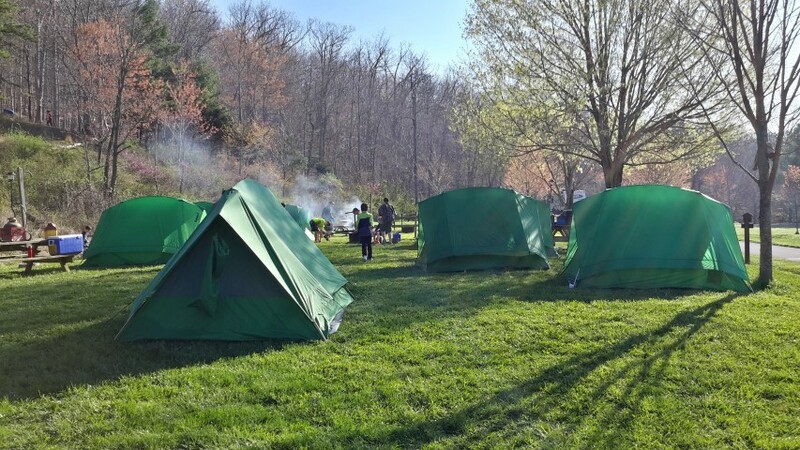 For our April 2015 monthly camping trip, we traveled West to the Lake Sherando Recreation Area in Lyndhurst, VA, near Waynesboro. This was a camping location we visited last year as a base camp for an overnight hike on the Appalachian Trail as part of our preparations for our High Adventure trip to Philmont Scout Reservation last Summer. However, this year, we chose to go back there as a first camp out for all our new boys who recently crossed over from Cub Scouts.